Enjoy cuisine samples from The Florian Gardens menu, receive professional tips from expert vendors, preview the latest trends in wedding decor. Held in late February. Held in mid-September. Featuring over 100 exhibitor booths, the Z-100 Newlywed Game, retail sales, a fashion show at 2:30pm, cake and food samples, product demonstrations and displays, food concessions, and on-site parking. Held Feb 19 from 12-3pm. Featuring wedding-related businesses and exhibits on the main floor, plus live video feed, drawings for fantastic prizes, food and beverage samples, and onsite one-on-one consultations with wedding professionals. Held in early March. The Metropolis Resort Bridal Fair Extraordinaire will feature local wedding vendors, food and drink sampling from our resort, door prizes, tours of our honeymoon suites and banquet space, plus much more. Local wedding vendors, prizes & cake walk, and a fashion show sponsored by Foreign 5. Held in Early Feb. Exhibits and booths featuring entertainment, photography, bridalwear, decorations, flower, and venues. 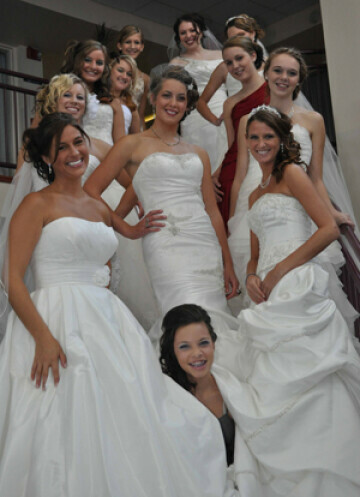 Live entertainment in multiple locations, lobby cocktail bars, bride’s bags, all-day bridal fashions, and more. Thousands of dollars of prizes will be given away during the event.